Take Diego wherever you go! 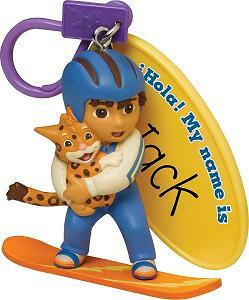 Choose from three action poses of Diego to clip on to your backpack, lunch bag, gym bag, jacket and more! Each Diego clip-on is extra special with a name tag to identify your favorite things. Never leave home without Diego! Product and decoration may vary.